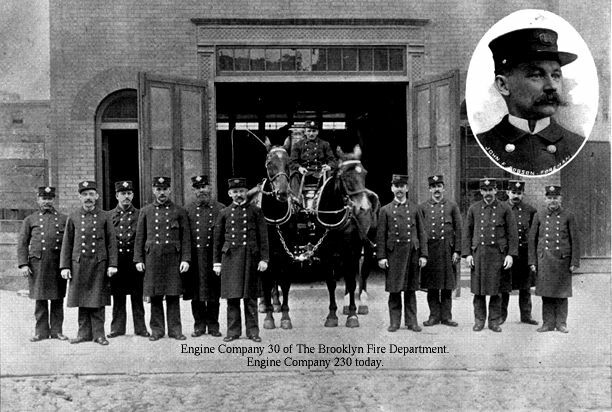 This photo was taken in front of Engine 230s ( Engine 130 at that time ) old quarters at 59 Ellery Street in 1918. Does anyone know if the horses had names or numbers? 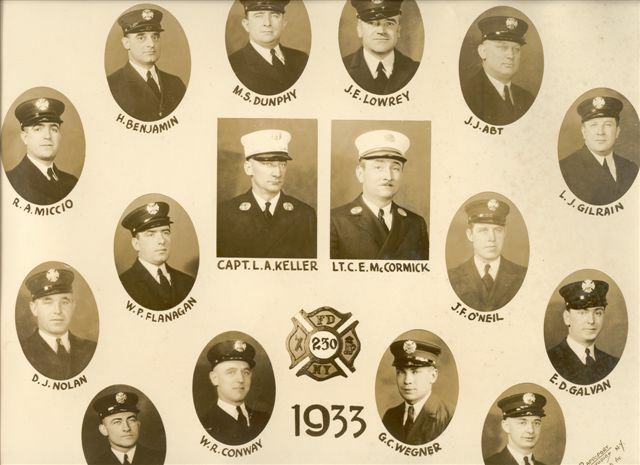 My grandfather, Charles Mc McCormick, was a lieut. with eng 230 from 1913 until 1933. The two firefighters names that were cut off are. on the left. T.M. Finn and on the right J.A. Bentley. Photo from the collection of Charles Lowery his Grandson. Alex Donchin is a true legend in the job with over 52 years of service with Engine 230. Alex was 85 years old. his friend a week after his death. There was no funeral , no wake etc. 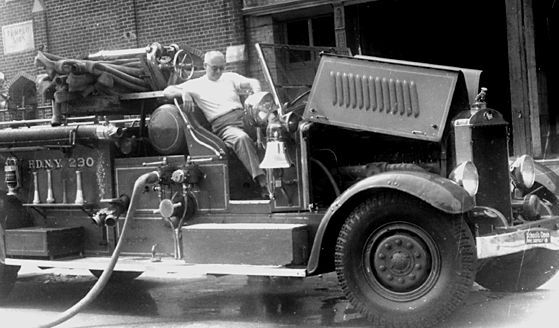 Alex relaxing in 230's Mack pumper, 1936.